With so many stunning trail runs around the world, it’s hard to nail down the best trails in a list that only includes eight locations. The best trails offer a mix of varied terrain, stunning views and sections that challenge your technical skills and fitness. Also, you need to think of other factors outside the run itself – accessibility, accommodation, other activities besides running for when you have had enough of bounding through the trees and whether help is close by if you get into a spot of bother along the way. For a lot of runners, trail running is not about the contest and camaraderie of ultra-marathons and endurance events, it’s a chance to get away from the crowds and the concrete and get out into nature. As trail running shares its roots with hiking and keeping the broader trail running demographic in mind, we have not focused on organized trail running events for this list. Instead, focusing on hiking tracks that make for a really special run. Some of them will need to be run over multiple days and require additional equipment but these trails normally have better access and amenities and can easily be incorporated in your holiday plans. 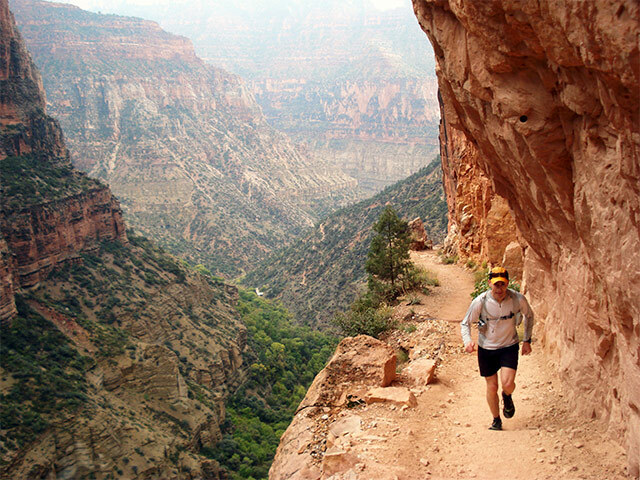 So without further ado, check out this list of beautiful trail runs that span the globe. I hope it will act as a great starting point to incorporate some lesser seen sights into your next outdoor adventure. So, pack that trail running gear and check out one of the awesome trails listed below. To run Rim to Rim on the Grand Canyon is no easy task, the elevation alone is grueling with over 10,000 feet of elevation change on each crossing. Add to that the chance of muddy trails or very hot sun and you are in for one of the harder runs to add to your calendar. However, running the Grand Canyon has to rate up there on every runners list as a dream destination. It is one of the seven natural wonders of the world, accommodation is close and plentiful and the views are second to none. The Lake Tahoe Rim Trail provides a great running experience. Accommodation is not far away and you can drive and park at the head of most sections of the trail. Lake Tahoe is described as ‘The Jewel of the Sierras’ and when you pop out of the trees you can see views of the lake and the surrounding mountains. The trail was started in 1984 by the Lake Tahoe Rim Trail Association and completed in 2001. It spans lakes, streams, forests of Aspen trees and mountain ranges and offers a huge diversity of terrain. For maps and detailed information regarding access and events see the Lake Tahoe Rim Trail Association website. As the destination for the world’s premier Ultra-Marathon, the Tour Du Mont-Blanc Trail needs to go on to the bucket list of every trail runner. Circling the base of Mont-Blanc, the trail is the destination and journey in one and can be run over several days while staying in local villages or ‘Refugio’s’. There is ready access to food and water throughout the trail and you can rough it or glam it to your liking. The Tour du Mont-Blanc spans three countries and crosses 10 mountain passes, it also amasses a huge 30,000 feet of elevation change. The Tour du Mont-Blanc is no walk in the park, but the rewards are massive, views over the Alps and a unique interaction with people from all over the world that come to experience this trail. 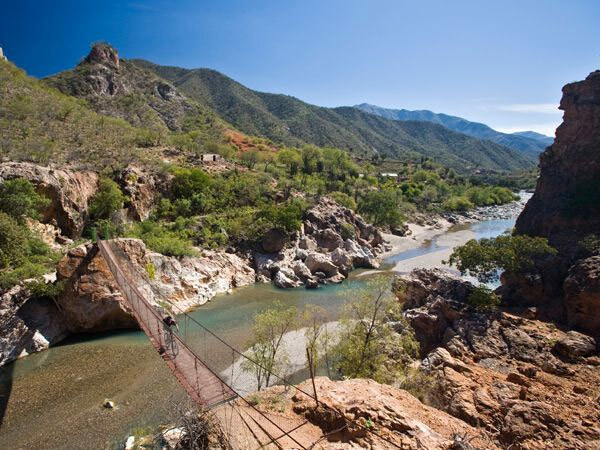 Copper Canyon is a series of six interconnected canyons that when combined, make it bigger than the Grand Canyon over the border. If you want the Grand Canyon without the crowds, then the Urique-Batopilas Trail is the way to go. It will require a little more spirit and self-reliance than its brother canyon to the north. There are fewer trail markers and you need to carry more water, there is also a small chance you will meet some of the less savory locals with the odd hold up being reported. However, the risks are worth the reward in this case. As you climb the 5000 feet from the desert to the canyon rim you will be treated to views that will take your breath away. The trail crisscrosses the canyon floor passing sandstone walls, close to an abandoned village and climbs up the canyon wall to the forested ridge line before heading down again to the Batopilas River. Consider staying a couple of days in the villages at each end to round out your trip, both are really friendly places full of local culture and food. Urique and Batopilas provide a great Mexican experience without the pushy tourism of more established destinations. 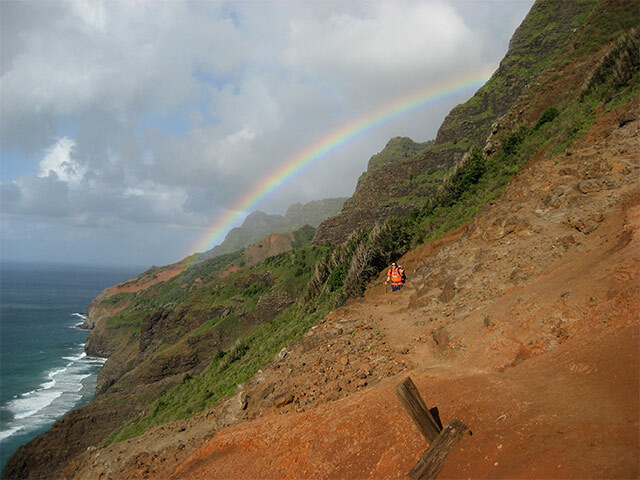 On the island of Kauai, the Kalalau Trail runs a near perfect half marathon distance past waterfalls, old agricultural sites and views out over the Pacific Ocean. The Na Pali coast is as photogenic as they get so take a camera and make sure you stop for a breather and the compulsory cliff-top selfie. This is one of the hardest trails on the Hawaiian Islands and has both technical and steep traverses so consider doing the one-way trip first before moving on to both ways. You need to allow at least double your normal running time over the same distance. Take a bucket of courage with you, you’ll need it come mile 7 when you hit Crawlers Rock. Climbing through some of the most diverse country in Australia, the Overland Track traverses some of the most spectacular natural terrain in the world. With half of Tasmania protected as National Parks and with a World Heritage listing, the trail moves through the ranges of Cradle Mountain National Park, winding past lakes and eucalyptus forests. There are restrictions on access to this trail and it is managed by the Tasmanian Parks and Wildlife Service who require permits to enter the trail from October to May. The track is open year round but you need to be prepared during the winter months for very cold weather, this is alpine country that needs to be treated with respect. Distance: 62mi broken into 10 sections than can be run individually or tied together to make a length that suits your experience. 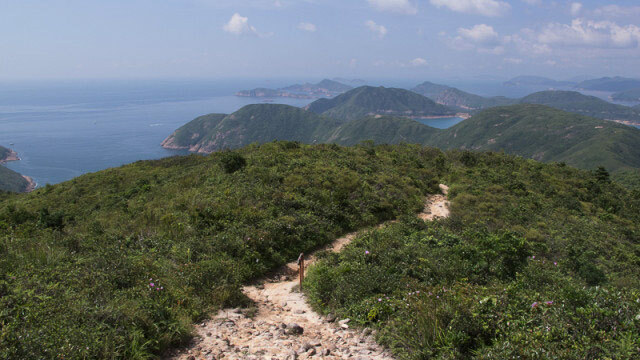 When you think of Hong Kong, trail running is not one of the things that comes to mind. Bright lights and skyscrapers fill the photos of one of the most densely populated areas on the globe, but get out of the city to the New Territories and it’s a trail runners paradise. 1000ft descents down rugged mountain sides followed immediately by 1000ft + ascents up the next ridge line make this a trail that will include a fair amount of walking. This trail has some of the easiest access in the world being close enough to the city that when you are done running you can simply jump in a taxi back to your hotel. I grew up on these trails and trying to pick just one for this post is impossible. The Top of the South Island in New Zealand has a higher density of trail runs than anywhere in the world and it would take an entire season to run just the highlights. Growing up in country New Zealand, I was never taught to categorize between road and trail running, all running was done in the hills and trails unless you were running time trials on the track at school. I picked the Nelson Lakes National Park to finish this list for its diversity. You can walk straight out the front of your accommodation and be on a trail. 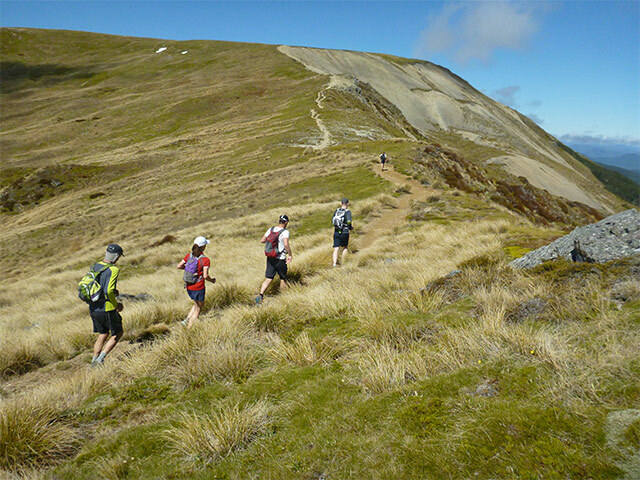 Choose the 13mi run around the stunning Lake Rotoiti or the leg breaking scramble to the top of Mount Robert and back (yes, a friend actually broke her leg on this one and had to be carried out). There are dozens of different runs through this compact region and they include heart-melting views that will stop you in your tracks and have you calling your travel agent to extend your stay. If you wish to deepen you love of trail running you cannot go past the top of the South Island, just take care of your affairs before you leave home as you may not want to leave.